This summer word bank collage is perfect to encourage reading, handwriting and coloring. This summer word bank is FREE for you to download (see bottom of post) to our subscribers. Students can read the words, refer to it when writing or simply color in the collage. It is part of the Summer Word Collage complete packet. 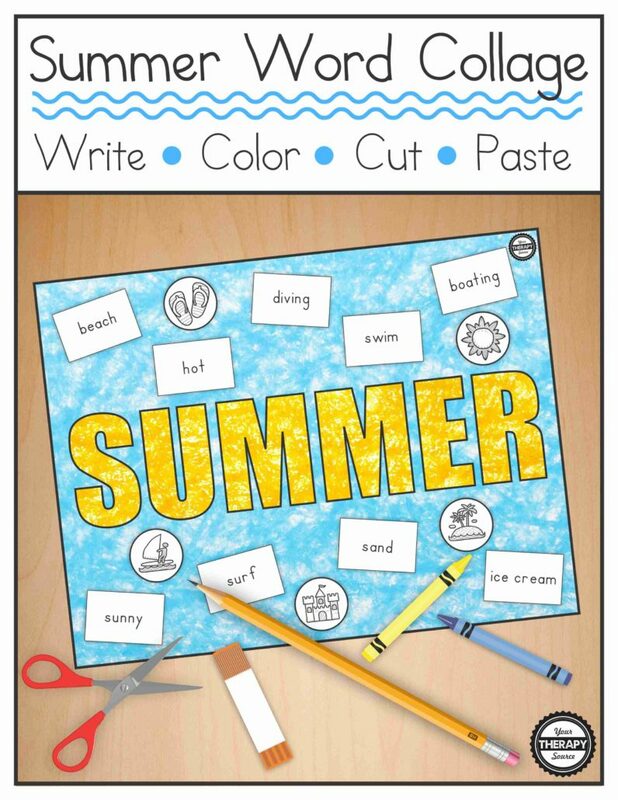 This digital document is a 21 page PDF document providing practice for handwriting, coloring, cutting and pasting with a summer theme. The handwriting practice pages are provided in: 1. dotted line Zaner-Bloser® type lines, 2. double line Handwriting Without Tears® type lines and 3. boxed lines. This packet offers 6 different options depending upon the student’s skill level. You can find out more about the complete packet here. 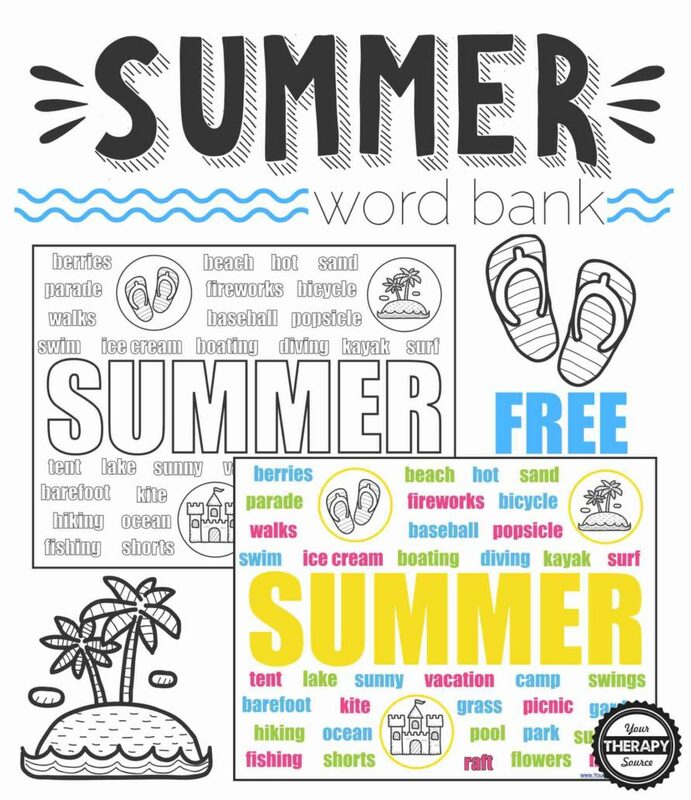 Here is a list of the words in the summer word bank collage: beach, hot, sand, surf, swim, ice cream, boating, diving, sunny, vacation, camp, swings, parade, fireworks, bicycle, flip flops, kite, garden, grass, picnic, hiking, ocean, pool, park, fishing, shorts, flowers, nature, berries, travel, sunshine, kayak, walks, popsicle, baseball, barbeque, raft, tent, lake and barefoot.